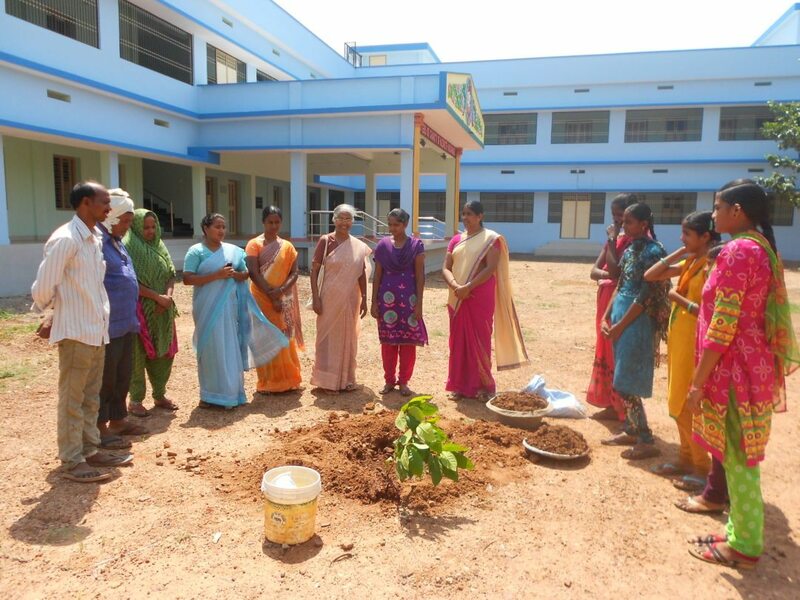 Daring the blistering heat of 42 degrees Celsius (107 degrees Fahrenheit) Sisters at the Preranalaya Social Development Centre (PSDC), in Musunuru, India, celebrated Environment Day on June 5 by planting an almond tree on the Preranalaya campus. In the presence of staff and the students enrolled in a skill training program at PSDC, Sister Jetti Swarupa Rani inspired the group with a talk on the importance of protecting the environment by planting trees and saving water. The Sisters and staff atPSDC have resolved to plant more trees in Musunuru with the help of the locals and to motivate them to safeguard the trees from animals and from the scorching sun. What a start! I remember seeing in 2008 a sign urging “a tree in every yard, a forest in every city”. May your almond tree thrive for years and years. May your example inspire others.